Growing your influencer business really comes down to two factors -- offering cool products and building a large following. Fortunately, here at Influencer.co, we have the cool products covered. So, you don’t have to worry about that. With that said, you can have the coolest product on the market, but if you don’t have a customer to buy it, you will never make a sale. So, how exactly would you go about building a large or larger social media following? The team here at Influencer.co sat down in our swivel chairs, grabbed a couple cups of coffee and began scrolling through the social media esoteric to find the answer to this trending question. Here is what we discovered. 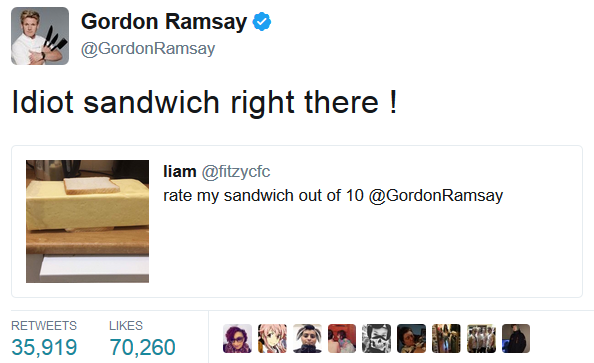 Gordon Ramsay, host of Fox’s hit series ‘Hell’s Kitchen’, has a very unconventional way of engaging his followers on Twitter. A couple years back, twitter users started tweeting pictures of their dishes at the celebrity chef in hopes to receive high praise from the world-renowned culinary genius. While many of them found they received a response, it was anything but positive. Chef Ramsay’s tweets did not differentiate from his TV persona, possessing a tone that was crude, harsh and downright cruel. Interestingly enough, the Chef receives hundreds of tweets on a daily basis from followers requesting critique. While the chef’s methods may be controversial, at over 4.5 million followers, there is an obvious method to his madness. So, what is the take-away here? Make your followers feel horrible about themselves? No, just simply engage them. Make them feel heard, and find an authentic way to do so. Damian Lillard commands over 3.4 million loyal followers on his Instagram account. Many would suspect the NBA superstar garnered his large following through his success in basketball. But, to many people’s surprise, Lillard has talents outside the game of basketball that can be attributed to his Instagram fame -- he can spit some serious rhymes. 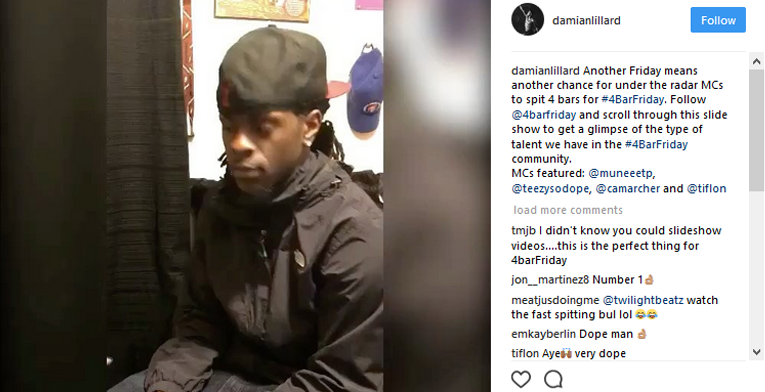 Lillard started a hashtag on Instagram called “#4barfriday”, where every Friday he would challenge his followers to create a short rap consisting of no more than 4 lines. He would then feature his favorite on his Instagram account. Internet marketers have loosely thrown around the word ‘niche’ so often as of late, that it has begun to lose its oomph. Which is sad, because building a large audience on a social platform is nearly impossible today without developing a focus. 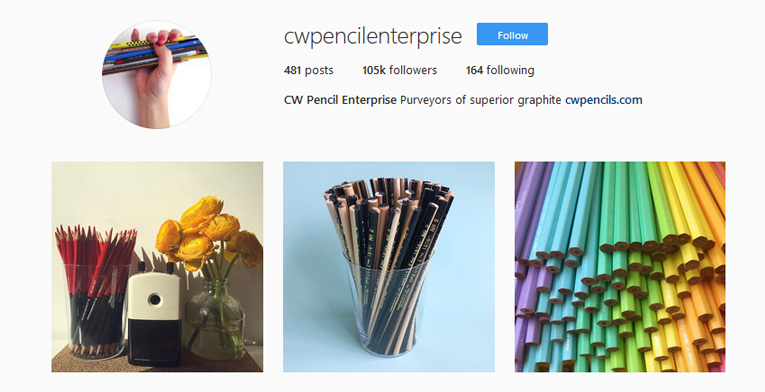 A Small Shop in NYC selling pencils Has Gained over 100,000 Followers on Instagram. What? Seriously? How? While most boys and girls dream of being actors, doctors, firemen and astronauts... Caroline Weaver dreamed of selling pencils for a living. Yes, you heard that right, pencils. When asked what her dream job would be, she would respond without hesitation, "Running a pencil shop." At 23 years old, she did something that most would consider crazy: she bought a lease on a building in NYC and started C.W. Pencils -- a brand that has grown so big that it has garnered a following of 105,000 on Instagram. A local single-shop company with a following the size of a small city, now that is dangerous. 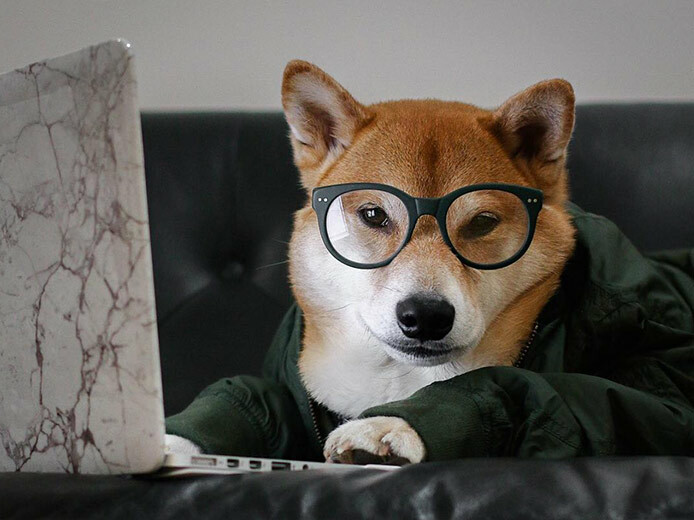 Influencer.co links provide you with 500M products from 70,000 merchants, and yes, even pencils. 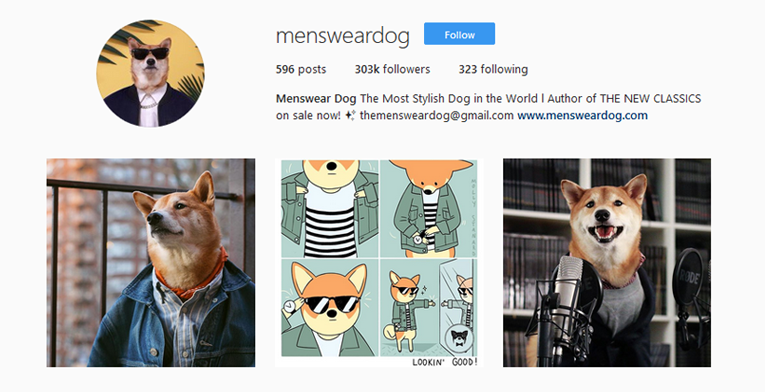 Menswear Dog had a very simple yet bizarre idea for an Instagram account, take a slightly chubby Shiba Inu and dress him up in men’s clothing. Simple yet bizarre ideas have a way of catching fire when they are centered around a cute animal. When in doubt, feature a cute animal. In all seriousness, influencer success is about discovering how you can differentiate from your audience. Menswear realize there were thousands of other brands on Instagram, posting pictures of good looking guys rocking the latest men’s fashion. So, they decided to choose a different kind of model -- man’s best friend. 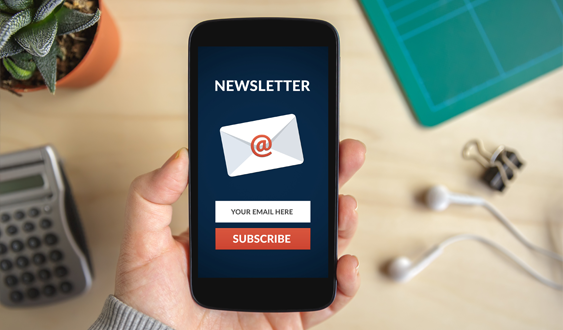 Social media influencers are missing out on a huge opportunity at growing their business by ignoring email. Some influencers, like Sam Parr, the CEO of HustleCon, would tell you to shy away from social media and concentrate your efforts on building a killer email list. Mr. Parr grew his email list to 100,000 subscribers in a few short years and has since monetized the heck out of it through sponsorships. His daily emails are so popular that they see about a 40% open rate, which is unheard of. It goes to show that if you offer your followers great content, they will engage. There is a lot of extra stuff going on in the social media word. A ton of nonsensical commotion, clashing around just to catch attention. This is understandable, taking into consideration just how hard it is to get people to stop and notice you in today’s busy social media world. But, sometimes trying to stand out in a world where everyone is trying desperately to standout will have the opposite effect. A crow isn’t anything extraordinary, until you throw it in the middle of a flock of flamingos. Well, that is exactly what Jason Peterson realized. What was a social media world full of popping colors and constant commotion missing? The simplicity that is black and white. 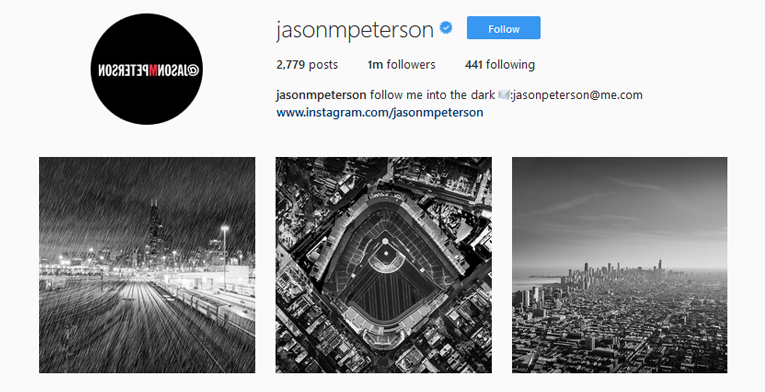 That is why, he keeps it rather simple on his Instagram that has accumulated more than 1 million followers -- all of his pictures are in black and white. 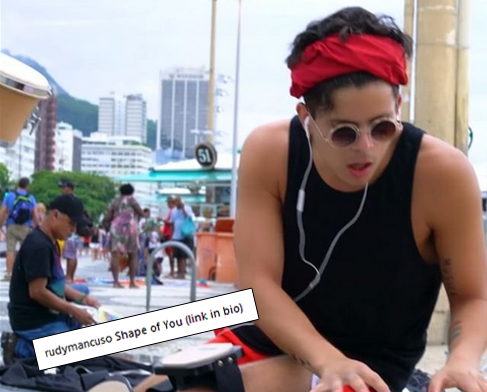 Rudy Mancuso became uber-famous after building an empire-like following on Vine, back when Vine was a thing. He watched his life change upside down as day after day he took 6 second videos of himself playing piano, pulling funny pranks on his mother and recording skits. Long after Vine was put to rest, Rudy saw his following continue to grow on both Instagram, Twitter and Facebook as he took his video-focused strategy to other platforms. Rudy’s videos have been so effective in building his audience because they have allowed him to connect on a more intimate level with his following. His fans can hear his voice, watch his movements and feel as though they are in a room with him. All things that are difficult to achieve through picture.